I don’t claim to remember everything, but my mind draws a complete blank when trying to recall some of the extras seen on this 1976-77 Chevy Camaro as being on the option list, Lol. 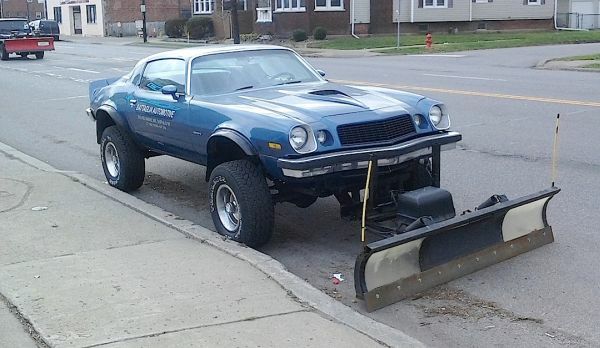 It’s probably one of the most stylish snow removal vehicles in all of North Buffalo! Here’s hoping we don’t need its services for a while. Merry Christmas from the entire RealRides staff, and a very Happy 2016! Thanks for checking us out each Mon-Fri! Jim Corbran, RRofWNY …and check out our Facebook page: Non-American Classic Cars The post RealRides Of WNY appeared first on Buffalo Cars.